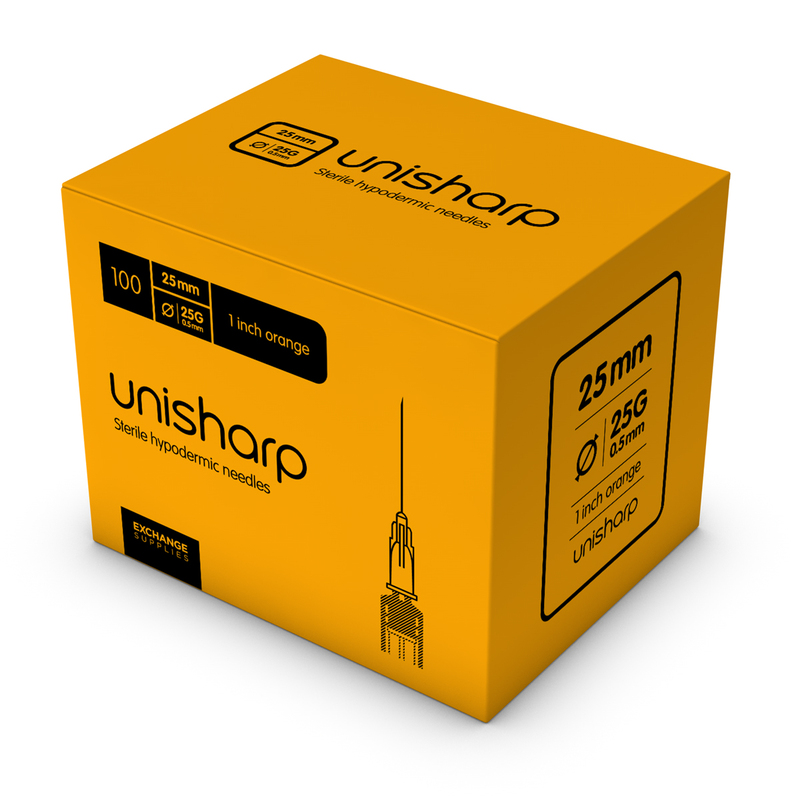 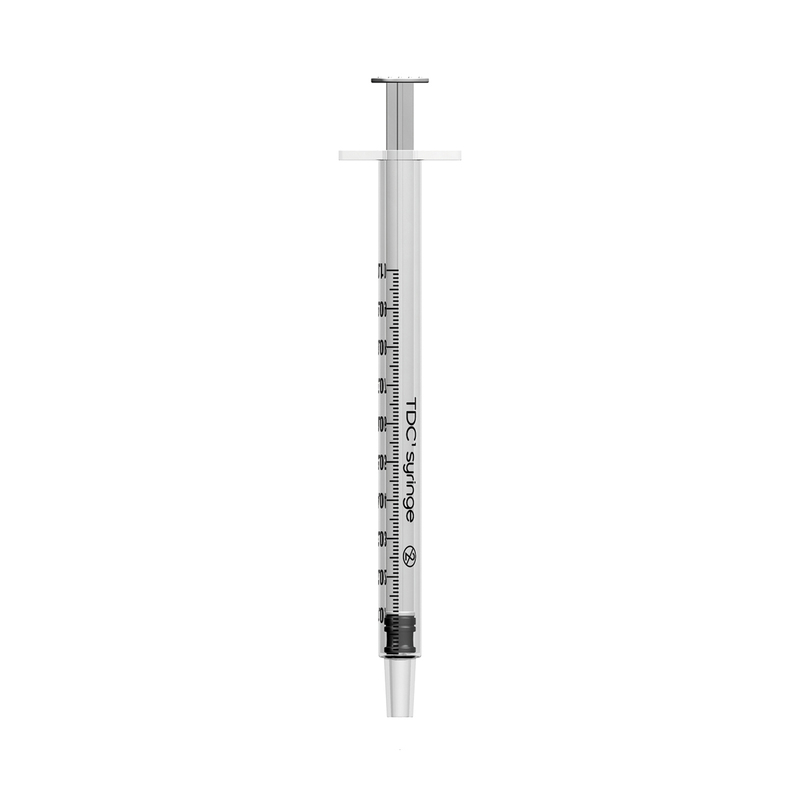 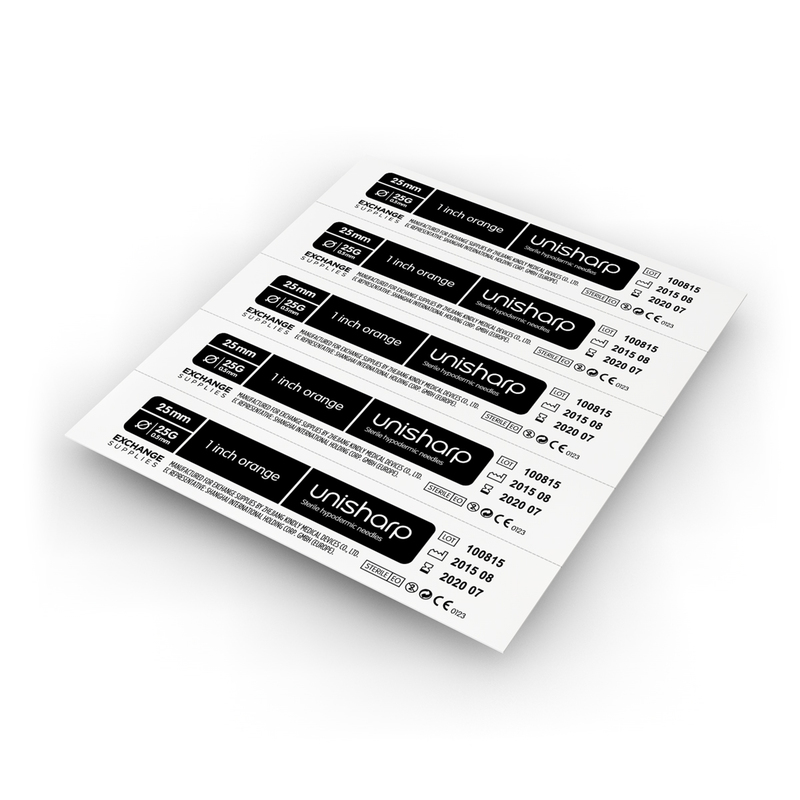 The Unisharp 25g is a fine needle made for injecting under the skin (subcutaneous), can also be used for intravenous injection into small veins. 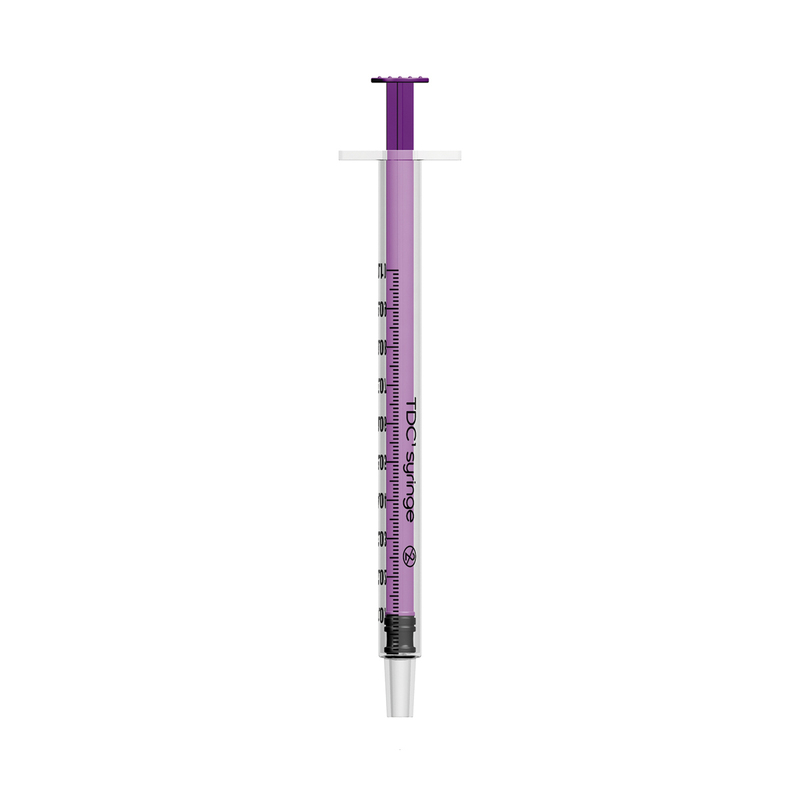 For injecting into small veins, 30g needles are even finer, and cause less damage to the veins and surrounding tissues. 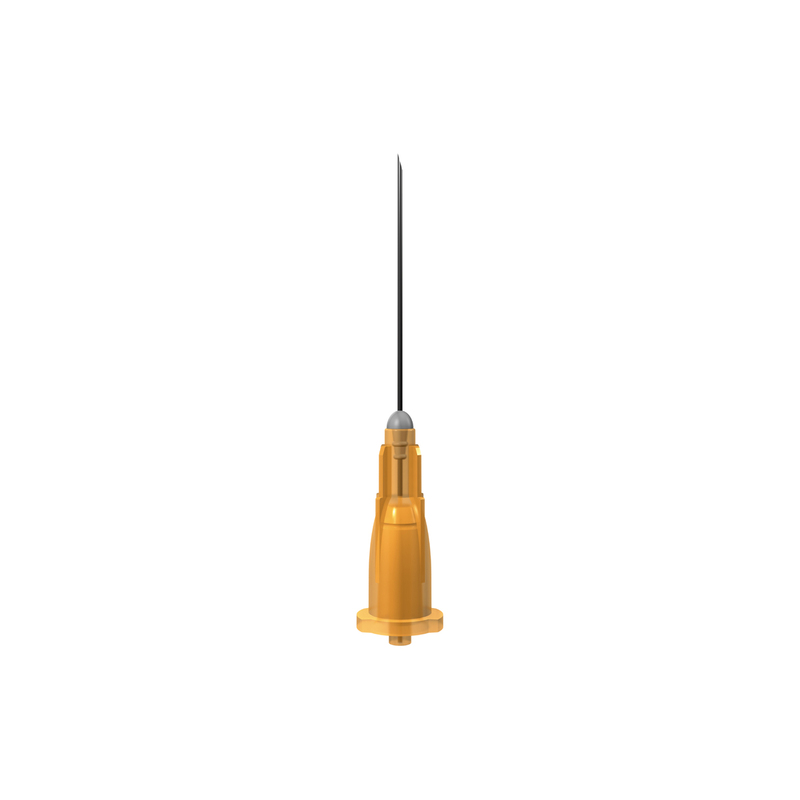 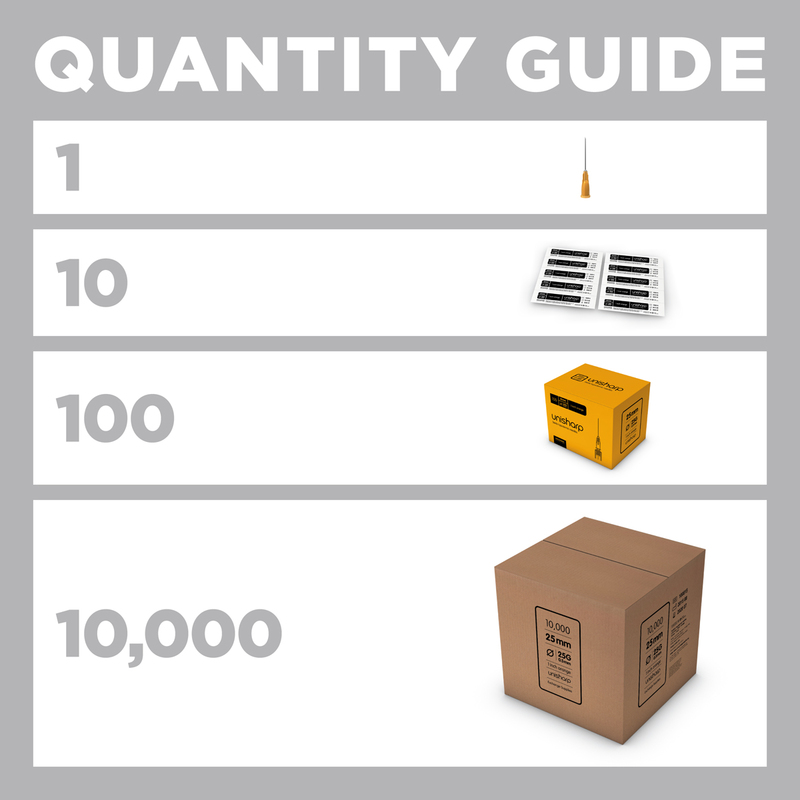 To view the 30g needle, click here.